For our latest edition of Sponsor Pipeline Insights, we’re taking a look at the Northeast USA. More specifically, we’re comparing sponsor companies from: Connecticut, Delaware, Maine, Maryland, New Hampshire, Pennsylvania, Rhode Island, Vermont, and Washington D.C. New York, Massachusetts, and New Jersey are all active enough on their own to have articles written for each of them individually. If you missed Part 1, check it out here first. So, without further adieu, here are the Top 10 most active study registrants in the American Northeast! First on our latest list is Silver Spring, Maryland’s United Therapeutics. The commercial biotech company currently markets 5 products, 4 of which target Pulmonary Arterial Hypertension and the other, Unituxin, treating pediatric neuroblastoma as part of a combination regimen. In the previous 12 months, 4 of their 25 active studies have been registered. Earlier this month, United announced a 1 month delay in the start of their Phase 3 study investigating Inhaled Trepostinil in patients with Pulmonary Hypertension due to COPD. The original April start day was pushed back to June 27 2018. Have a Zymewire account? Click here to view all of United’s global activity! Next up is Delaware’s (The state of choice for incorporating) NeuroRx Inc., the small molecule clinical stage pharma company out of Wilmington. Having 5 of their 6 active studies registered in the last 12 months, they operate in the CNS segment, specifically focusing on the development of treatments for Acute Suicidal Ideation and Behavior (ASIB) in Bipolar Disorder. Their current program, NRX-100/NRX-101, is a sequential drug regimen that aims at the N-methyl-D-Aspartate (NMDA) receptor to help treat these indications. The regimen starts with a single dose of NRX-100 (Ketamine), followed by a six week daily course of orally ingested NRX-101, which is a combination of an NMDA receptor modulator as well as Lurasidone (Latuda®), a 5-HT2a receptor antagonist. NRX-101 was awarded the Fast Track designation in August 2017. Most recently, in a mid-study update, NeuroRx announced the completion a Phase 2b/3 feasibility enrollment for NRX-101, which is the first oral drug demonstrating raised glutamine/glutamate (Glx). Have a Zymewire account? Click here to view all of NeuroRx’s global activity! Out in New Haven, Achillion is spending their time on the development of novel small molecule oral factor D inhibitors for the treatment of rare diseases and other serious conditions. They currently have 9 studies that are active at this time, with 5 of them being registered within the previous 12 months, tying them with NeuroRx Inc. They just announced a Phase 1 First in Human study for ACH-5548, the third candidate from Achillion’s complement factor D platform. They are expecting to enroll 28 healthy subjects for the study. Have a Zymewire account? Click here to view all of Achillion’s global activity! With 5 of their 9 active studies registered in the past 12 months, it has been a busy year for Rockville’s Supernus Pharmaceuticals. The CNS focused company has been working on the development of 2 programs (SPN-810 & SPN-812), both targeting ADHD. Both are in Phase 2 and 3. Also in the pipeline are studies for a secondary indication for their existing commercial product, Oxtellar XR, as well as SPN - 809 for the treatment of depression. Currently marketed for the treatment of epilepsy, Oxtellar XR (Oxcarbazepine) is also going through Phase 1 for treatment of Bipolar Disorder. Most recently, Supernus welcomed the CEO of Sunnyvale’s Parksinson’s Institute and Clinical Center, Dr. Carrolee Barlow M.D Ph.D, to their Board of Directors. This follows their announcement of a private offering of Convertible Senior Notes to the tune of $350 million back in March. Have a Zymewire account? Click here to view all of Supernus’ global activity! It hasn’t exactly been the best of times for the embattled Stamford pain med manufacturer. Having recently slashed their sales team in a massive layoff, as well as being named on multiple levels (CEO’s and members of the Sackler family) in lawsuits for a role in the opioid epidemic, it’s difficult to say what the future holds. Nevertheless, the band plays on, and a tough run hasn’t stopped Purdue from launching 5 of their 11 currently active studies within the previous 12 months. Eisai & Purdue also recently presented new clinical trial data for their sleep drug, Lemborexant, at the Japanese Society of Sleep Research’s 43rd Annual Meeting. It was also recently announced that Purdue and Shionogi have terminated their existing partnership for US co-commercialization of 0.2mg Symproic tablets. Have a Zymewire account? Click here to view all of Purdue’s global activity! Less than a mile from Achillion, things are busy in New Haven, and the competition for talent from Yale will undoubtedly be fierce. 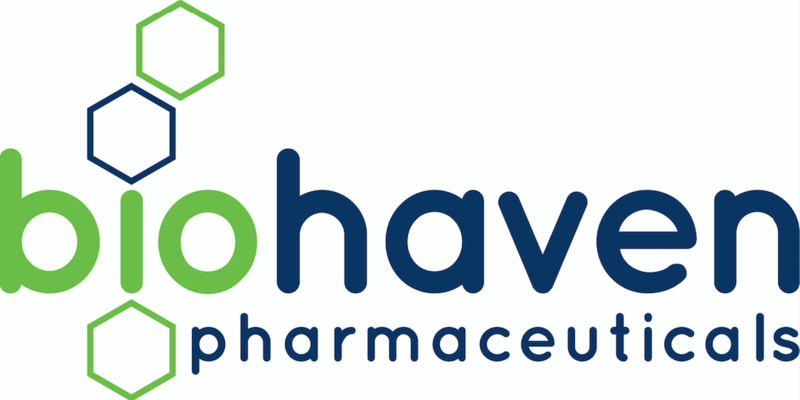 Luckily, Biohaven isn’t focused on Hematological indications, and spends their time developing treatments for the CNS, more specifically with their CGRP Receptor Antagonist and Glutamate Modulation platforms. From the CGRP platform, the most advanced candidate is Rimegepant (BHV3000), for the acute treatment of migraines. An NDA is expected to be filed in 2019. Their second most advanced candidate is Trigriluzole, from their Glutamate platform, is being developed for the treatment of Ataxias. Topline results are expected in Q4 of this year. Of their 10 active studies, 6 have been registered within the previous 12 months. They most recently updated the expected completion date of their long term safety study of Rimegepant (BHV3000) in the acute treatment of migraines to June 2019 from March 2019. Have a Zymewire account? Click here to view all of Biohaven’s global activity! A member of the complicated CSL Group of companies, and subsidiary of Australian conglomerate CSL Limited, CSL Behring is headquartered in King of Prussia. Known as ZLB Behring until 2007, their storied history dates back to the very early 1900’s, after Emil Von Behring won the Nobel prize for the development of serum therapies targeting Diptheria and Tetanus in 1901. The branding move was made to create global alignment with CSL Limited. The biotherapy giant has had an active 12 months, with 6 of their 24 active studies being registered within that period. Their main focus is on rare hematologic, immune, and genetic disorders. After a modification to a PiP (Paediatric Investigation Plan), they were recently requested by the EMA to conduct additional studies of their injectable Afstyla (lonoctocog alfa) in the treatment of congenital factor VIII deficiency youth between 12 and 18 years old with severe Haemophilia A. Have a Zymewire account? Click here to view all of CSL Behring’s global activity! Taking home the bronze medal, and the second member of our list from Pennsylvania, the dermatology and immunology focused biopharmaceutical company calls Wayne home for their HQ. They have commercialized 1 product, Eskata, which is a Hydrogen Peroxide topical solution for raised seborrheic keratoses (SKs). On the development side of the business, they currently have 11 active studies, 10 of which were registered in the last year. Earlier this week, their investigational Janus Kinase (JAK) Inhibitor (ATI-502) targeting Alopecia Areata was granted Fast Track designation by the FDA. In topical dosage, ATI-502 is also being investigated for treatment of other indications, such as Vitiligo and Androgenetic Alopecia. Have a Zymewire account? Click here to view all of Aclaris’ global activity! Out in Gaithersburg, the Maryland biologics subsidiary of AstraZeneca is investing in the development of a range of candidates across several therapeutic areas. Most heavily, their R&D spend is flowing into Oncology, which comprises just under 52% of their pipeline. Of MedImmune’s 83 active studies, 22 have been registered within the last year. This week, it was announced that MedImmune is collaborating with California based 4D Molecular Therapeutics on the development and commercialization of a gene therapy treatment for chronic lung disease. 4D specializes in adeno-associated virus (AAV)-based gene therapies. Have a Zymewire account? Click here to view all of MedImmune’s global activity! Delaware claims top spot on our latest list with Incyte Corporation’s 40 studies being registered in the past year. Bringing their total active to 108, they currently have 19 clinical candidates and 17 molecular targets across their therapeutic specialities of Oncology, Rheumatology, Immunology, and Dermatology. It’s also worth noting that they have one of the sleekest overviews of their total portfolio so, well done. With regards to pipeline news, Incyte’s collaborative Phase 3 study with Eli Lilly for the investigation of baricitinib as a monotherapy for atopic dermatitis received an updated expected completion date of December 2018. This is back from October 2018. It’s also been a busy month for recruiting in Wilmington, with openings appearing for positions such as: Associate Director - Preclinical Pharmacology, Senior to Executive Director - Immuno-Oncology Development, and Associate Director - Molecular Biology, among a variety of others. Have a Zymewire account? Click here to view all of Incyte’s global activity! As mentioned in Part 1 of our Sponsor Pipeline Insights series, the pharmaceutical market in the United States fluctuates frequently, and the country is a hotbed of clinical activity that is rivaled by few. There’s plenty of noise to get lost in, but it can get much easier with the right kind of help. Rather than spend your days digging through databases (it’s not really a solution to a problem if it doesn’t make things more efficient, does it? ), hire the trusted digital sales assistant and put your prospecting on autopilot. Ask us about Zymewire today, and stay tuned for the next instalment of Sponsor Pipeline Insights!